Family: Turbinidae. Species also called Dolphin Shells. 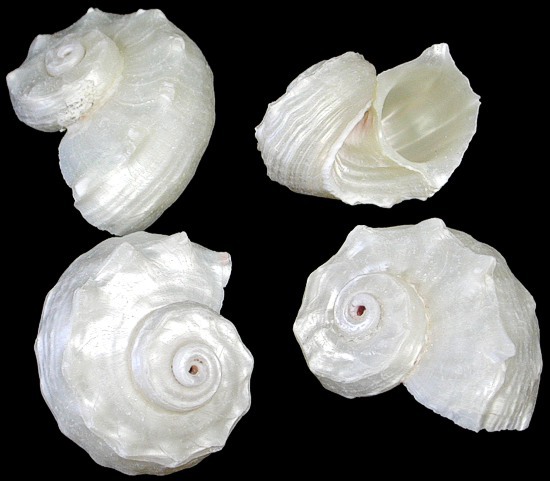 These are solid highly variable shells with a large body whorl and flattened spire. The umbilicus is wide and deep, suture of upper whorls scarcely perceptible. A row of flattened, curved spines. It has spiral bands of olive-green and red. Shell opening is about 1 1/4 inch. During the 19th century these were considered rare shells. Today, they are not rare but not in large abundance. This species inhabits coral reefs found across the Indo-Pacific region; especially near the Philippines. Family. Turbinidae. This species is also found in the Indo-Pacific region from the Indian Ocean east to the northern Australian/New Zealand Shores. Found near coral reefs. Not a rare species. Shell opening about 1 1/4 inch. This shell is sometimes called Victor Dan's Delphinula. Family. Turbinidae. 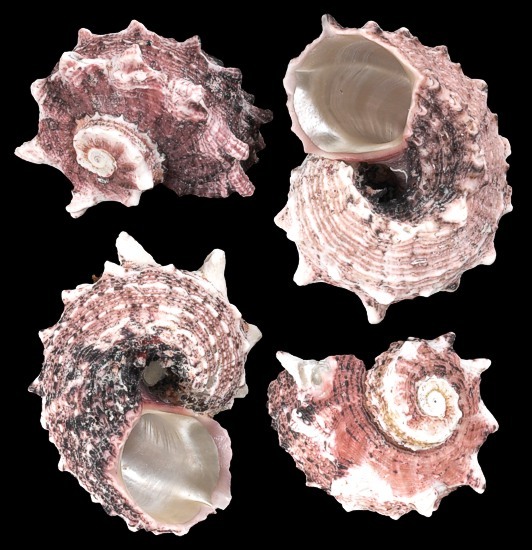 The Angaria Delphinula is a solid shell with a large body whorl and a short spire. Base of body whorl is flat. 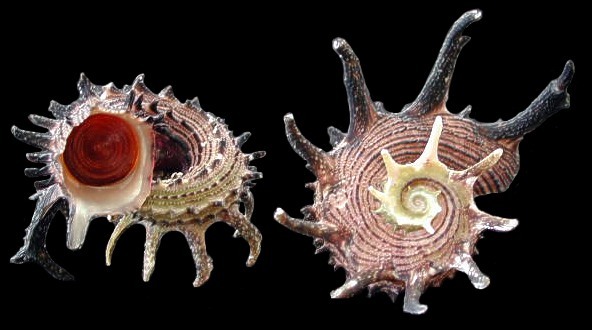 The shell has thin spines at the periphery of whorls. The umbilicus is encircled by a double row of short spines. 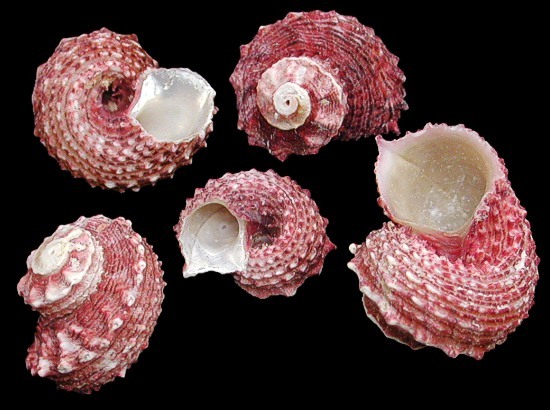 Shell color is pinkish orange with green highlites. Basal ribs are whitish. Angaria Delphinula are found in deep water across the Indo-Pacific region. They are not considered rare but moderately uncommon. Scientific name: Angaria Vicdani Kosuge. Polished to its inner pearlized layer.